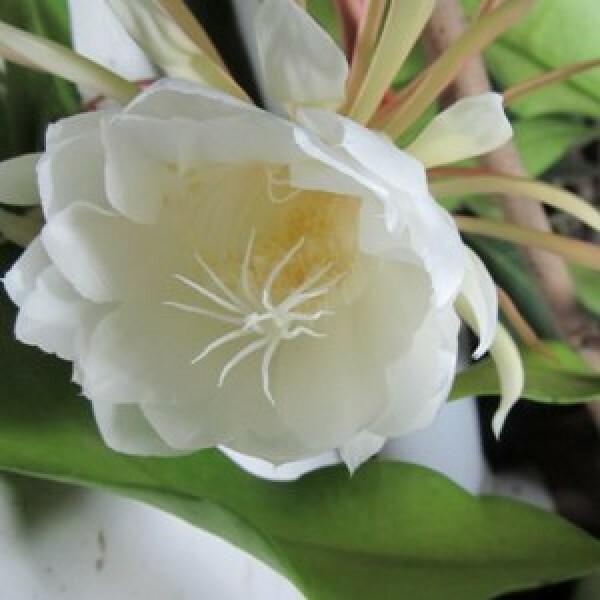 Common name: Brahma Kamal, Hindi Name: ब्रह्म कमल, Botanical name: Saussurea obvallata, Family: Asteraceae. The Brahma Kamal, native to Himalayas, at the upper limit of high mountains (4000m approx). The flowers bloom at the height of the monsoons and abundant in high-altitude places like The Valley of Flowers. The bract-cover provides the warm space needed to bloom in the cold mountains. The flowers are used as offering in the hill temples, like the shrines of Badrinath. Brahma Kamal is the state flower of Uttarakhand. plants height with pot is 1ft and pot size is 5icnhes diameter.